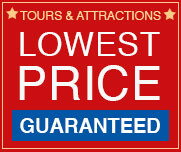 Reservation applies to the Ghosts & Gravestones tour only. Tour includes the Whaley House. Welcome aboard the original Old Town Trolley Tours of San Diego. 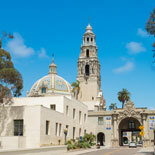 Enjoy our twenty-five mile, fully narrated tour of San Diego and Coronado. Colorful anecdotes, humorous stories and historical information are combined into a fast paced two-hour narrative that will both entertain and educate. 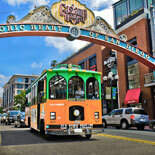 Old Town Trolley Tours of San Diego is the "attraction that takes you to all the attractions" and has been entertaining millions of guests for over 20 years. Our tour has been hailed as the "Best Way to See the City" by SignOnSanDiego.com and was twice awarded the prestigious "Finest Service Award" by the San Diego Convention and Visitors Bureau. Depending on your start time, you may also use your ticket to enjoy your tour in segments by hopping off at one or more of our distinctive stops on the loop. Each stop offers a unique aspect of San Diego for you to explore. When you are ready to continue your tour, simply hop on the next available trolley. Trolleys arrive and depart approximately every 30 minutes. The number of stops you can explore in one day depends on the time of year that you are touring and the amount of time you have on the day of your tour. Travel back in time with us and learn of the spirits of the notorious wild characters like Gunslingers, Gamblers and Ladies of the Night lived and died in San Diego and it is possible that their spirits live on in the dark recesses of our historic buildings and neighborhoods. The tour includes a walk through the El Campo Santo Cemetery and ending with a tour inside the Whaley House, both sites of many reported paranormal occurrences. Get your eTickets today for this great combination package! Old Town Trolley Tour: Daily. Times vary depending on season. Ghosts & Gravestones Tour: Reservation confirmed for date and time selected. Please arrive 30 minutes early to find parking and check-in at the ticket booth. Closed on Thanksgiving and all of December. 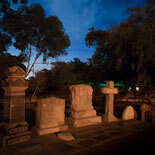 Ghost & Gravestones Tour - Reservations are required. Reservation based tickets and unused tickets are non-refundable. You may reschedule up to 24 hours in advance of tour time by calling 619-298-8687. Old Town Trolley Tour - Reservations are NOT needed or accepted. Tickets can be used on any operating day within 12 months of the purchase date. Old Town Trolley Main Stop (Stop A) Old Town located at 4010 Twiggs Street; (Stop B) 1004 N Harbor Dr.- San Diego Embarcadero at Harbor Drive and Broadway; (Stop C) Seaport Village at 470 Kettner Blvd; (Stop E) Horton Plaza Shopping Center; (Stop H) Coronado McP's-1107 Orange Ave. The Ghost and Gravestones Tour is rated PG-13. An adult must accompany Children 12 yrs. of age and under. Child ticket is for ages 2-12. Tour may not be suitable for children under 13. 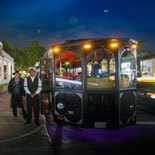 Old Town Trolley Tours depart from boarding locations approx. every 30 minutes. Patrons with eTickets (voucher) can board at any Old Town Trolley boarding location. Without an e-Ticket voucher you must go to the ticket booth location with invoice order number. Free parking is available at Old Town State Park. Assistance animals, such as seeing-eye dogs, are the only animals that are allowed on board the trolleys. Holidays, special events and traffic conditions may cause cancellations, delays or detours. Accessible: We request 24-Hour advance notice. 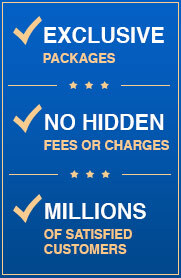 Call Customer Service number 619 298-8687.